Sandia Office Supply is your one-source solution for everything you need to keep your business going. We are proud to serve as your office supply experts with quality products and personalized services that makes your job easier—and saves you time! We also provide everything you need to keep your documents organized and easy to access, including file folders, literature organizers, overfiles and tops, mobile files and carts, shelving, and art and drafting supplies. Whether you need to order a large quantity of products or just need a few items for a last-minute need, Sandia Office Supply will get your products delivered quickly. Any time you order from us, we provide free next-day delivery—with no minimum purchase. It’s all part of our commitment to simplify your life and provide you with the best possible service in Albuquerque and beyond. From lateral filing cabinets, to a variety of metal filing cabinets, fire-resistant filing cabinets and more, you can count on us to have exactly what you need to keep your important files safe and secure. But our services don’t end there. 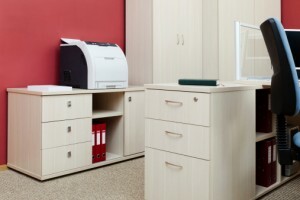 We offer comprehensive office supply solutions tailored to your preferences and the unique needs of your business. Please contact us to learn how we can serve you better. Call 505-341-4900 to order your office filing cabinets and accessories from Sandia Office Supply of Albuquerque, NM today!